Revlon fragrance and perfume list. 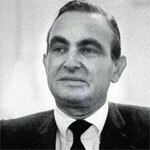 American cosmetics, skin care, and fragrance company, Revlon, was founded in 1932 by Charles Revson and his brother Joseph, along with Charles Lachman, a chemist and the "L" in the Revlon name. Starting with a single product - a nail enamel unlike any before it - the three founders pooled their meager resources and developed a unique manufacturing process. In 1973 Revlon launched it's Charlie fragrance featuring Charlie's Angels actress Shelley Hack in a Ralph Lauren pantsuit. This was the first ad to ever feature a woman in pants, thus defining the 1970s independent woman. Read more about the history of Revlon.